Scottish indoor open club regionals was held Nov 12th and 13th in Edinburgh this year with Glasgow sending two teams to compete for the four indoor nationals qualifying spots on the line. Glasgow 1 entered the tournament seeded 3rd and drawn into a pool with Mother Huckers (aka Dundee 2), Sneekys 2 of Edinburgh, and Mojo 1; while Glasgow 2 was seeded 15th and placed in a very tough pool along with Ro Sham 1, Black Eagles, and Abstract. Glasgow 1 started pool play with a convincing 13-4 win over Mother Huckers. Next up was Sneekys, who traded points with us early, before we stepped up the D to pull away for the straightforward 11-7 win. Our final pool play game was against Mojo, who also entered the game with 2 wins, meaning first place in the pool and an automatic spot in the quarterfinals was on the line. Glasgow made the most of the opportunity, storming out to a quick 5-0 lead, before cruising to the 10-5 win, first place in the pool and a spot in the quarterfinals Sunday morning. 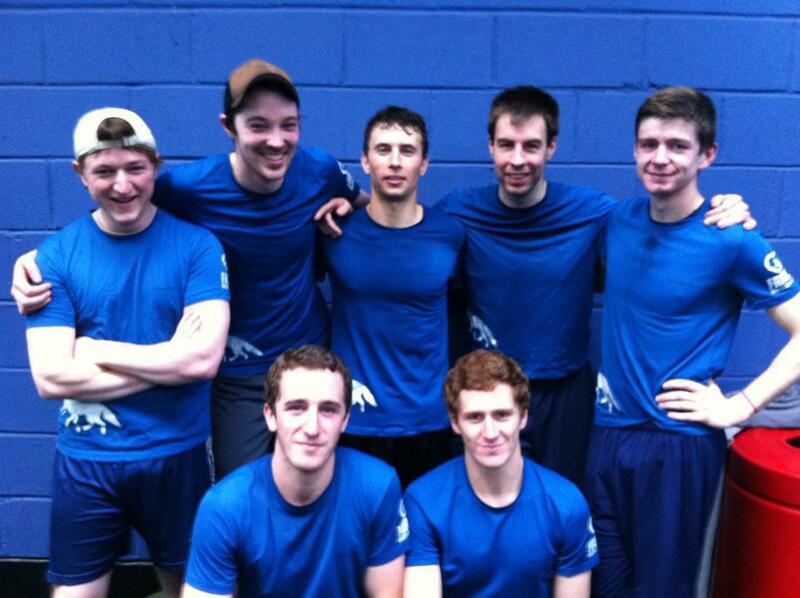 Glasgow 2’s first pool game was a tough one against Ro Sham 1 losing 13-2. Next up was an even harder game against the eventual champions Black Eagles. Despite the tough competition, Glasgow 2 showed up to play in this game, fighting hard with tons of specular Ds and an efficient O, pushing the Eagles right to the end before eventually losing 9-7. Last up was Abstract, a game Glasgow 2 needed to win in order to make crossovers. Unfortunately Glasgow came up just short again, leaving them to play in the placement games on Sunday. Due to a scheduling quirk Glasgow 1 played Sneekys 2 again in our quarterfinal. Feeling somewhat annoyed that we had to play the same team a second time so early in the tournament, and that we should have handled them more easily in pool play, we came out to prove a point. As a result Glasgow 1 absolutely dominated the game in every respect rolling to a big 12-2 win. This set up a semifinal again Dundee 1. Entering the game having not been truly tested yet, Glasgow came out flat and made a few mistakes leaving us down a couple points early on. This allowed Dundee to switch to their soul destroying zone D in order to slow the game down, and while we fought hard our lack of practice against the zone meant we could never really get ourselves back into the game, ultimately losing 7-3. Despite the setback, Glasgow 1 came back strong in the 3rd place game against Stirling. Glasgow never trailed in the game, and despite letting Stirling twice fight their way back into the game, managed the 8-7 win. As a result, Glasgow 1 finished third, maintaining our initial seeding and grabbing one of the 4 Scottish region spots in indoor nationals to be held on Jan 28 and 29 in Stoke-on-Trent. Glasgow 2 continued to play hard on Sunday and after losing their first game of the day came back with a big win over Mojo 2. While they lost their final game of the day, it still left them seeded 14th, one better than their original seed. More importantly, Glasgow 2 showed the true colours of Ultimate in Glasgow bringing home the spirit award! Overall it was a great tournament for all involved, and no doubt Glasgow 1 will be looking to make some noise at nationals!